A little bit of the past and a little bit of the present can create a new fashion movement toward the future. 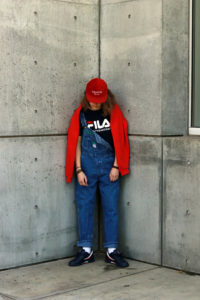 The recycling of 80s and 90s throwback trends are expected to pair along with new modern pieces. The combination of nostalgia and excitement when you put on these clothes will make you want to step out of your comfort zone and find yourself in fashion. The skinny silhouette is pushed to the wayside as the pleated trousers make their return this winter. This holiday season is more colorful than ever ranging from red, pink, yellow and orange. Trends are constantly changing each season with new-ins and new-outs, however, the purpose is not always to make you change your style, but instead to explore yourself through it. Fall-Winter 2017 menswear is all about a little bit of everything from A-Z. It’s for everyone, so expand your wardrobe and find new ways to express yourself with the variety of styles. across the board at the shows for Fall-Winter 2017. Fruity oranges are the key colors of the season. With its undeniable, striking tone, it can act as your statement piece. The splash of vitamin C across your wardrobe will have you ready to hit the street. Many will doubt about its wearability, however, it is actually one of the most versatile colors you can choose. 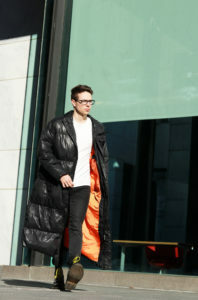 Instead of the head-to-toe look shown in Dior Homme or Givenchy, you can invest in an outerwear piece or go for the contrasting look of orange against all black. A combination of red and yellow radiates warmth, and brings out your self-confidence and it’s out there for any risk takers this season. Turtleneck sweaters have been around the past few seasons, but are definitely going big this winter. They are a retro-inspired style and an ideal piece for a casual night out which you can layer with a shirt, t-shirt or just by itself. These turtleneck sweaters come in different sizes and colors so that you can wear it oversized or fitted, making it easy to incorporate with your own wardrobe. It’s the season’s coziest trend. These turtleneck sweaters are styled differently across brands like Calvin Klein, Kenzo and Acne Studios. Every brand has their own stand and they show it in their clothes. The Fall-Winter runways this year were full of text graphics including statement, slogan, and logo from brands like Vetements and Balenciaga. With the chaotics time we are living in, meaningful messages on clothes can bring positivity and also promote for a better change. A simple shirt to t-shirt to sweaters to hoodies, you can play with proportions will give you that ‘ I don’t care’ look. 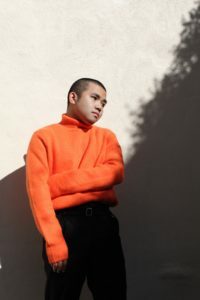 Designer Raf Simons set his own trend by pairing a XXL style sweater with a bottom that is more slim and form-fitting. 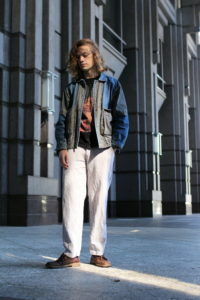 Adding comfy attire to your style will also give to that carefree, or careless, attitude that you are going for. Skinny jeans are now on the back-burner and a looser, wider-legged trouser silhouette is back on track again this winter. 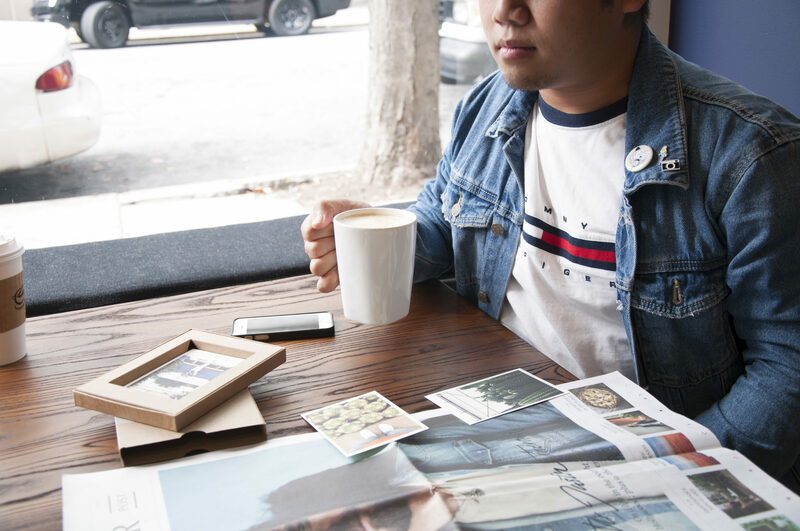 A classic look can be completed with an oversized sweater, a dress shirt or a graphic t-shirt. If you want a relaxed, slouchy, and unstructured look, this is the one. It’s no longer your grandpa’s style. The seventies corduroy and velvet texture have been a major influence for some designers such as Prada, Saint Laurent and Giorgio Armani. A rich fabric that will keep you warm for a evening night out. Either corduroy or velvet zip-up jacket, you can have it match with a matching pants. Corduroy comes in many different colors that can complete any look. Bored of bomber jackets? This season’s must have is the padded jacket, a jacket that give you both confidence and comfort. The volume it gives is unconventional for some people, but give it a try and you’ll find that it is extremely practical in the winter months. Either vinyl or high-tech fabrics, this jacket will add the hybrid forms into your look. The most bright, flashy and fun pieces are coming back to us again. The hands free fanny packs, one strap down overalls, color-blocked windbreakers and washed denim jackets can all be spotted around. Tommy Hilfiger was huge in the 90s with color-blocking and now his vintage looks are back with Vetements and Urban Outfitters.